I am back from Paris and have since been here, there and everywhere. Now, after a trip away I would usually do my next post all about it. Guess what – I’m not going to this time. Let me say it, just this once….. ‘I’m saving it for the book’. Wayhey! A slightly longer cliffhanger than usual. I promise tales of a jazz bar, a special bridge, a book shop and introducing many new characters who I met out there – people from all around the world. A trip that was filled with magic, yet again. I was back in London for just 2 days and then it was off to Surrey to celebrate my workmate Aaron’s marriage to Kerry. Caroline, Cat and I met at Waterloo station in the morning. It was mega fun to be hanging out together – we used to work for the same company before we all went off in our different directions. We chattered away on route to Horsely station – Caroline being super prepared and ordering a taxi for when we arrived. Great! Oh wait – the rude taxi man decided he couldn’t wait for an extra FIVE minutes when the train was running a little late. Charming! We were stranded – no exaggeration. Every taxi company were unable to pick us up for another 45 mins which would be cutting it too fine if we were going to make it to the wedding on time. There was only one thing for it. I told a man (who looked like a local) our predicament. Exactly as we’d hoped, good old John offered us a lift as he was going that way. What a legend. We had a quick change at the hotel, put some slap on and off we went to Clandon Park. Caroline was especially excitable as this would be her first full wedding in England. Cat and I talked through the usual order of the day: watch the ceremony, drink, drink some more, eat food, drink, listen to speeches, drink and then dance. And drink again. The ceremony was intimate and beautiful – Kerry and Aaron looking gorgeous and happy. There was such a wonderful buzz about the place as we walked out to the drinks reception. Our good friend, Prangley (Andrew), was the best man and we went off for a moment for me to listen to a quick run through of his speech. He had no reason to be nervous – he was brill. The table plan is always an interesting one. Who will you be put along side? Luckily for us it was Ruari and Jen – a fab couple that ensured our time at dinner was spent laughing our heads off. As we were all introducing ourselves, it wasn’t long until talk of the book cropped up. It turned out that Ruari’s Mum, Judy Fairbairns, has written a book, Island Wife. (One that I have purchased from a gorgeous little book shop in Hexham!). 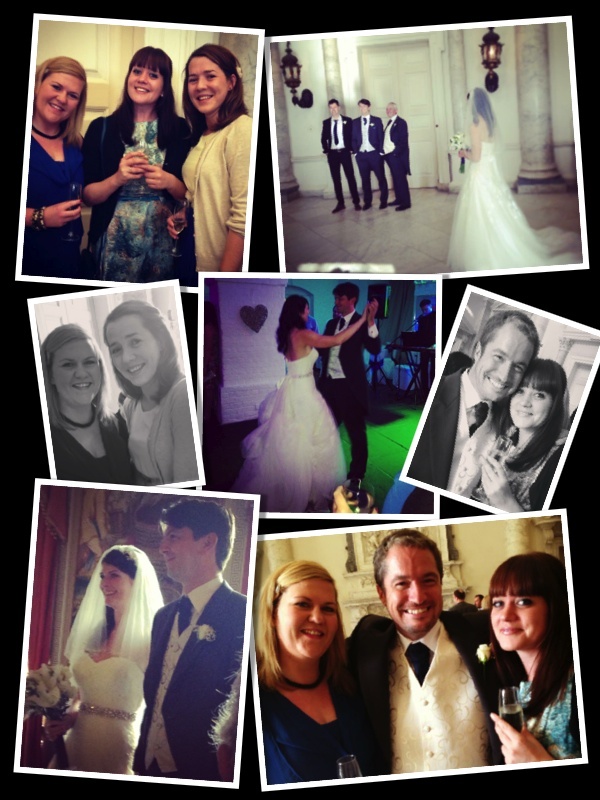 All in all, it was a fantastic wedding – a joy to be a part of. Wishing Aaron and Kerry all the best for their future of family life with their little girl, Olivia. So it was back to London for a night and then on Monday, I embarked on an absolute nightmare of a journey up North. A journey which was supposed to take 4 hours max. It ended up as over 7 hours. Urgh. Kings Cross was full to the brim with irate passengers after hearing the news that all East Coast trains to Newcastle were cancelled. I headed off to Euston station to give the west route a go – trying to take deep breaths as I went in order to refrain my anger levels from rising too high. Ok, so I could get the Glasgow train to Carlisle – things were looking up. They were looking up until I reached the platform. Clearly the rest of the world was doing the same. I got on a carriage and looked down it in despair. It was packed and I had a huge bag with me – no chance. I was either going to have to stand or sit on the floor. A father and son jumped on the same carriage and explained that they were in exactly the same predicament as me. The Dad suggested we try First Class until we were chucked out. I was game and suggested, “If you do it then so will I”. So off we got and sprinted(ish) down the platform with just 2 minutes before the train would depart. We snuck on to the luxurious carriage, enjoying the comfy seats and masses of leg space. It felt a bit naughty – but come on now, we had no choice (kind of). The Dad turned to me and asked what my game plan was. They were from Australia and joked about, by being from the other side of the world, it gave them the right to ‘play dumb’! I explained that I had no game plan but that I would not be moving. I simply showed my ticket to the conductor, who looked at it and carried on. The same happened to the others. (By this point I had picked up that the little boy’s name was Charlie and the Dad’s name was…erm…’Dad’. I got too far into the journey to ask). Charlie looked at me and, when out of the eyeshot of the conductor, he punched the air whilst mouthing, ‘Yesssss’. Happy days. First class it would be. (What I hadn’t mentioned was that this train broke down approximately 150 yards on the way out of the station. For 27 minutes. Classic). I changed at Carlisle and finally got to Wylam (where we were crashing at my Uncle and Aunty’s) to meet Dad. It was an early night for us as we had a long and difficult day yesterday (which is something I will talk about another time). I am going to leave it there for now and get ready for my drive down to Dorset. I wonder what moments will come from this – maybe some service station gems! Say Bonjour to the Cover of the Book….. 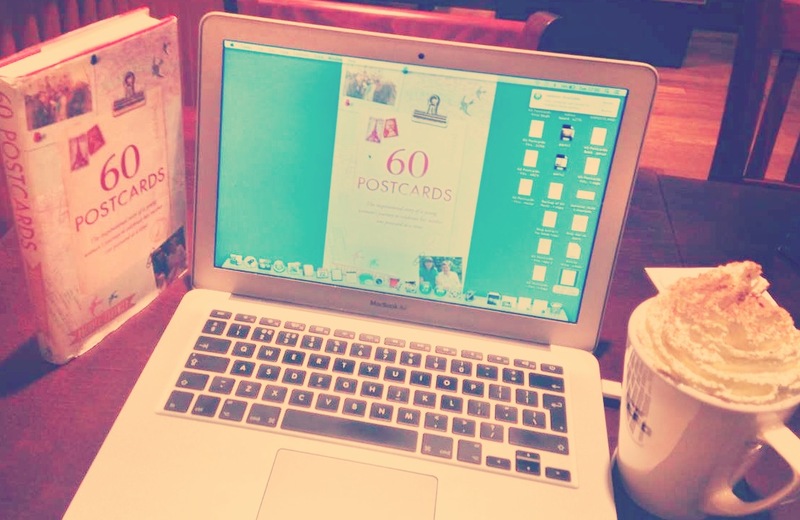 Writing a Book is Easy…….